Joint Juice Review – Is This Product Safe To Use? 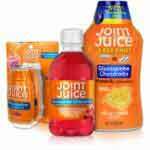 Joint Juice is a dietary supplement that comes in liquid form designed for people suffering from joint complications. It was first designed for people who engage in active sports but it is now available for anyone suffering from joint complications and people who are recovering from osteoarthritis. What is the Company Behind Joint Juice? What are the Ingredients Used in Joint Juice? What are the Pros of Joint Juice? What are the Cons of Joint Juice? Joint Juice is an attractive product that is meant to reduce pain that is caused by osteoarthritis. The producers of this product perhaps used the attractive name to lure people into buying this product. Joint Juice is a dietary supplement that is available in liquid form. This is a plus given that many similar products are available only in a solid form which is a nuisance to swallow in some people. Being a liquid product, Joint Juice is easy to ingest and is quickly absorbed. The product is manufactured by a company going by the same name. we cannot explicitly tell where the company is registered or headquartered by they claim to produce the product in a factory that meets US standards of manufacturing. It is manufactured with chondroitin sulfate. This is a plant-based ingredient that has been used in many joint care products. Chondroitin is preferred by most manufacturers since it plays a double role in that it can help regenerate cartilage and lubricate the joint at the same time. Dry joints and anti-inflammation are the two most notorious causes of joint pain. When you address these two, you are headed in the right direction as far as joint care is concerned. This approach, as you might have found out doesn’t offer instant relief and thus it can be considered as a long-term relief to joint ache. All the same, this product is not intended to offer instant relief and thus we can say it is headed in the right direction. This product is fortified with vitamins. The producers recommend taking a glass daily. You can take the glass at any time you find convenient. You can even take it as a snack. For a fast absorbing product that will not sit on your stomach for hours then this product is superb. But when it comes to choosing a value for money and the discomfort caused by pills, you will find yourself exploring other alternatives to this juice. We have previously reviewed cheaper and equally effective liquid products than joint juice.